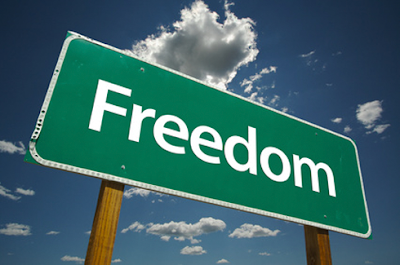 Invisible Analysis: CENTRAL BANKERS DON'T HAVE FREEDOM. Every government across the globe wants to control the central banks for every policy decision they take. Recently India witnessed a sharp change over of its chief and now Mr. Trump is against Mr. Powell. Central bankers have always been under the influence of the ruling government. The chief of the banks might be a super economist, may have dozens of awards and new theories of economic but when it comes to framing monetary policy reforms and measures it’s always under the government direction. We are not getting into the debate of interest rate hike is required or not but its more about the freedom of the central banks to work independently. Will Mr. Powell will be asked to exit all depends upon Trump as he has his own economic theories. Every country has a similar war with their central bankers and it seems that despite facing recession and still struggling to come out of the same, many governments are still forcing the central bankers not to work independently. Trump is focussed towards creating more job through trade war where the real problem is Dollar and more tax cuts and the interest rate cut down where investments for long-term sustainable economic growth is not focussed. Trump has an election in 2020 and prior to that, he had given tax benefits impacting the long-term balance sheet of the US government. Now he wants the FED Chief not to hike interest rates any further. He has now come up open in the press to punch the Fed Chief indirectly by the statement that the Federal Reserve was "the only problem" of the US economy. Trump is a businessman and his point of thinking is from the business side. He thinks that if interest rates remain down, taxes remain down and Trade restrictions are imposed then the GDP of the US economy will grow. What he forgets is that his own term is for 4 and after that, he has another reelection where he may not be elected again. Monetary policies should be left in the hand of the economist and those who understand the subject over the long term. But no we have seen how the sub-prime mortgage crisis was created with the support of the government by the US FED chief in those times where they all knew that how this subprime will end up. Firing Fed Chairman and getting another one who will be the puppet of Trump will not solve the economic problems on an overnight basis. It clearly shows that no government wants to understand the principles of economic growth and its long-term implication on the citizens. In India, we found that how the central bank chief was being under pressure and finally where it ended. The central bankers should be given free hand as they understand the subject better. Trump policy stance of reduced taxes will cost the long-term economic growth. According to the committee for a Responsible Federal Budget estimated an additional $1.5 trillion will be added to the $10 trillion already forecast for the next decade. Tax cut has failed to lift the job creation market, particularly for the manufacturing space. Well, the prime motive behind the trade was to create more manufacturing jobs. A trade war will never create jobs rather would create problem and inflation for the US government. Mr. Trump did not understand that it was more of the currency valuation which created the problem for the deficit. A stronger dollar acts as a price increase for U.S. goods sold abroad while making imported products less expensive for Americans. According to the International Monetary Fund Trump’s tax and spending policies also are driving the dollar higher, along with widening the trade deficit which leads the dollar the most overvalued of 14 major currencies. The dollar has risen more than 7 percent this year against the currencies of major U.S. trading partners, part of a 22 percent gain since the end of 2013, according to the Bank of International Settlements index. The tax cut and trade war was decided to create more jobs but the reality is that it was found that only 6% of businesses in the service sector, which makes up the largest chunk of the US economy and employment in the country, reported changes in investments and hiring due to the GOP tax law. If one's competitiveness comes under threat and failed monetary strategies would lead to a shifting of jobs and employment and that’s what happened in the US. Between 2001 and 2017, Chinese trade destroyed 3.4 million American jobs, three-quarters of them in manufacturing. This is mainly due to the currency factor which has lead American producers to be less competitive and hence in order o catch the competitive market flight of jobs and opportunities created the loss of a job. This loss of a job cannot be replaced through trade war. The global economy is heading for a serious deadlock where political imbalances and a poor decision would spook a slowdown which will slowly kill the citizens over the long term. The world is not at all ready for facing another recession. Now if Mr. Powell is thrown out then that would create short-term jitter but the major impact will be felt in the long term.